For the more technically inclined: “Chroma Key Green” is approximately valued at 354C in the Pantone color Matching System.1 There are other versions of the color out there that may work, but it would be advisable to stay as close to 354C as you can. On the other hand, “Chroma Key Blue”, is valued at 2735C in the Pantone color Matching System.2 These colors can also be given in different values (RGB, CMYK, Hex, etc. ), which can be found in the referenced link below. These two colors are used for chroma keying because they aren’t naturally visible in human skin tones, which provides you with considerable flexibility as described below. When used as a solid color background, these colors make it easier for the production team to “key out”. “Key out” refers to the process in post-production where the background and anything else matching the color selected, will be removed from the scene. Something as simple as using a green screen/blue screen can help your organization implement its marketing elements more efficiently and effectively in several ways. Cost savings and quality of results are achieved from less time to complete the project, consistency of production, improved creativity from a blank canvas, and ability to include special effects, all of which provide new branding opportunities. Lighting a green screen correctly takes some practice. What is ideal about it, however, is that once it’s lit to specifications, you don’t have to re-do it. Here at CATMEDIA, for example, we shoot a monthly video for a client. We use the same set up each month for the shoot, allowing it to be as efficient as possible. The power of the green screen is only limited by your imagination. It has been said “With great power comes great responsibility.” Using a green screen allows you to basically have a blank canvas as a background to place your talent anywhere. For many creative directors, marketing directors, or producers, having the flexibility to use any location opens up new creative possibilities. This is an attractive perk for any organization using an agency with green screen capability. One extra perk of using a green screen is the possibility of using a green screen suit. A green screen suit, or chroma key suit, provides special effects capabilities. These suits allow cast or crew to be in the shot interacting with what is going on in the scene, but later in post production the crew in the chroma suit can be removed along with the background. There are quite a few studios that employ chroma suits for production of special effects. A popular example would be in the Man of Steel and Batman v Superman movies. Superman’s cape was “puppeted” by two different puppeteers. There was also a crew member moving a fan around the actor. All three of them were in chroma key suits. Chroma suits are also used for computer-generated (CG) characters. Generally, when on set these CG characters are played by a person in a chroma key suit, holding a point of reference item with which the other actors engage. The film industry has a deep history with green screen technology. Films that plan to use heavy effects and chroma-keyed settings or characters have a tendency to lean more towards digital cameras like the RED, Black Magic, or Arri Alexa, just to name a few. This is due to the higher luminance of the green channel, as used in Guardians of the Galaxy Vol.2, which was filmed in Atlanta, and shot on all six of RED’s 8K Weapons. Director James Gunn chose to use these cameras solely for their ability to integrate with special effects and green screens. 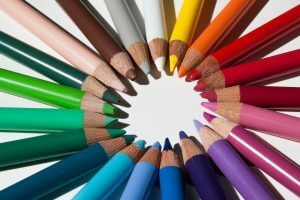 All of the foregoing contribute to marketing and communicating your brand, a key objective of your organization. 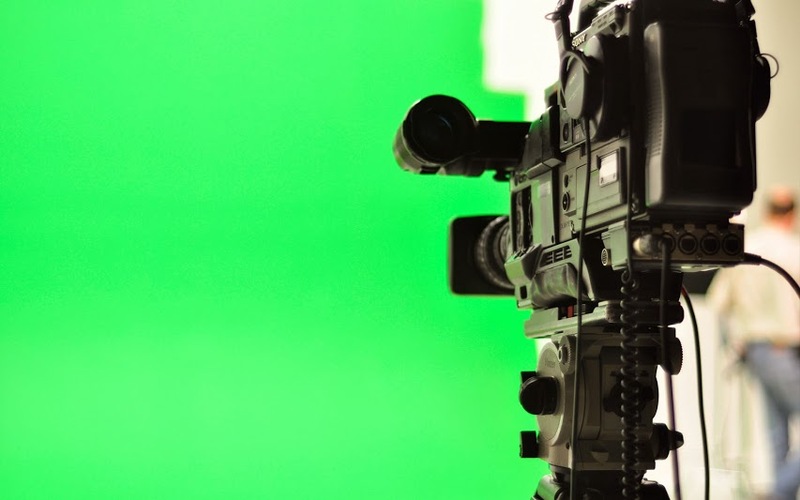 Green screen contributes to more efficient and effective brand showcase videos, “How To” videos, vlog pieces, or other creative video or photo projects. It can be as simple as adding your logo in the upper corner of the screen, animating the lower thirds3 (on brand showcase videos), or composing background graphics in an “Explainer”4 video. Consistent branding is a crucial benefit of having access to a green screen for production of your organization’s media. TV commercials employ the use of green screens quite often. For example, commercials for personal injury lawyers tend to add a background showing the law firm’s logo on a wall, in a high-rise office building, on a computer-generated background comprised of motion graphics, or even with scenes from accidents. Furniture showrooms/warehouses will often superimpose the live talent into a showroom, or “slide show” of different room furniture sets. So whether you are a marketing/communications professional looking to increase awareness of your brand, a government officer needing to communicate upcoming changes in a highly engaging manner, or a producer looking for creative solutions to potential budgeting issues, there are quite a few options available to you when adding a green screen into the mix. What questions about green screen can we answer for you? Please share below. 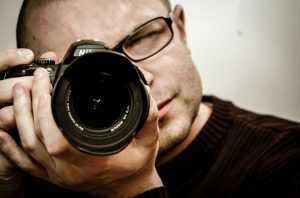 CATMEDIA’s studio supports green screen video/photography shoots. We also have a creative marketing team to help with other needs your company may have. You can contact us through our website, by phone or email if you are interested in using our studio or would like to speak with a member of the team.